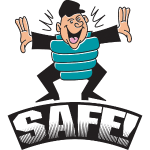 Welcome to the CSJBA Umpires resource area, this is the place to visit to see the latest information and news for all umpiring games for Cronulla Sutherland Junior Baseball. While baseball in Australia is relatively quiet over January, three members of the Giants family have spent almost every day on a diamond. Rob (centre), Connor (left) and Ryan Casey (right) have spent the last four weeks at Vero Beach in Florida at the Minor League Umpire Academy. The Academy runs for four weeks, and you’re working six days each week, spending anywhere from twelve to fourteen hours each day studying the game we all love. Each morning will start with a classroom session where they study the rulebook from cover to cover, during the course of the school, they will answer over 700 questions on the rules and how they are to be applied in the game. The best students will get over 95% of them correct. They learn not just the rule as it’s written, but how to interpret the rule, the intent of the rule and the history of it. The rules have evolved a great deal from those first written back in the 1830’s. They also learn about all the errors and conflicts in the rule book – there are many. The remainder of the daylight hours is spent out on the field where they learn about every other facet of officiating our game. Considerable hours are spent in batting cages learning to refine their understanding of the strike zone, which is significantly different to what most coaches and players understand it to be. 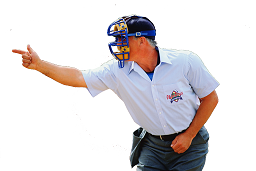 Did you know that the strike zone is three dimensional? Rob, Connor and Ryan have learnt all about what we call ‘game management’, and how to handle the inevitable conflict in a game at the professional level of the sport. They will spend hours out on the field, and day after day will practice calling ‘out’ and ‘safe’ so that it just becomes an instinct. After all of this, they will then retire to their motel rooms, have dinner and then complete another few hours of homework studying the rulebook again. Out of any sport in the world, this is the most intensive and thorough officiating program. As an example, have a go at answering this question and see how you go! Q: Runners on first and second, no outs. The batter hits a pop-up near first base. As the first baseman moves to field the ball, the runner from first interferes with the first baseman. The ball falls untouched and rolls into foul territory before first base; however, the infield fly rule had been declared. What would rule, and remember you have only a few seconds to come up with your answer before a coach is asking you? 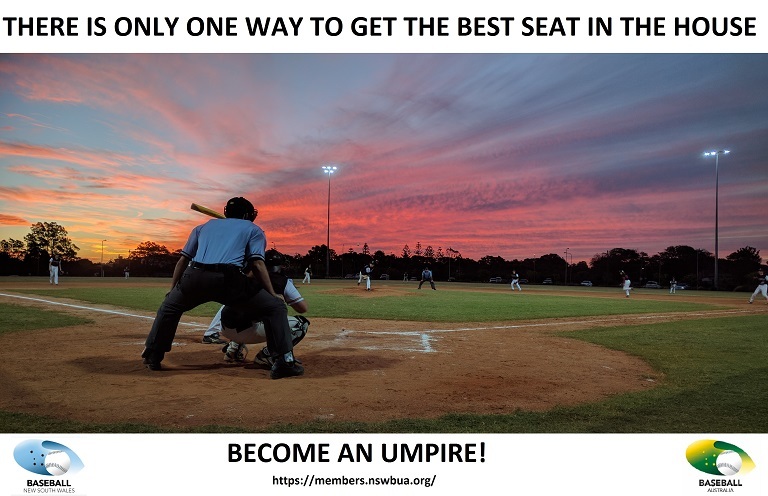 The top 20 students, out of a class of 120 has been selected to progress to the Advanced Class run by Minor League Baseball where they will work games for another week and go through a grilling and eventually be rated amongst their peers between this and one other Professional Umpire School. The top students from the Advanced Class are then offered a job to umpire in Minor League Baseball. I’m absolutely thrilled to announce that Connor made it to the Advanced Class and will be spending the next week or so at Historic Dodgertown in Florida. His journey to MLB is only just starting out, but it’s an amazing opportunity for him and we’re all extremely proud of all three Casey’s in what they have achieved over the last month.